On-the-fly computation of daily differrences. 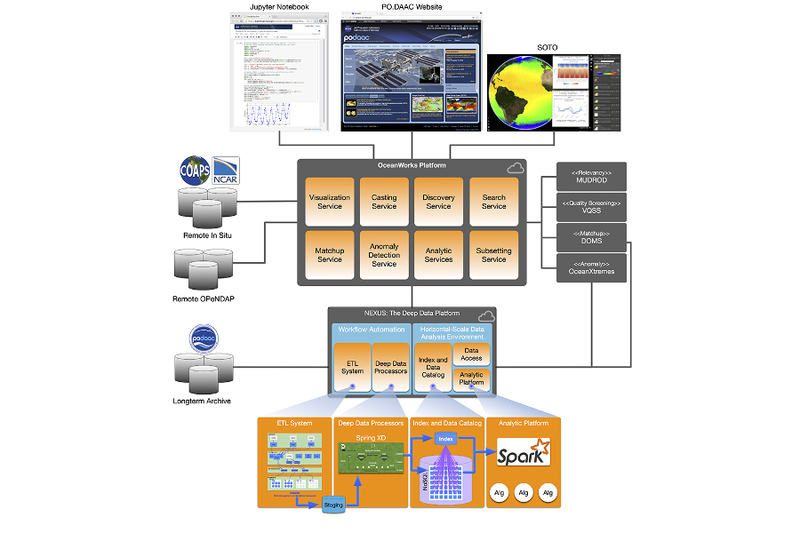 SDAP is a technology software solution currently geared to better enable scientists involved in advancing the study of the Earth's physical oceanography. 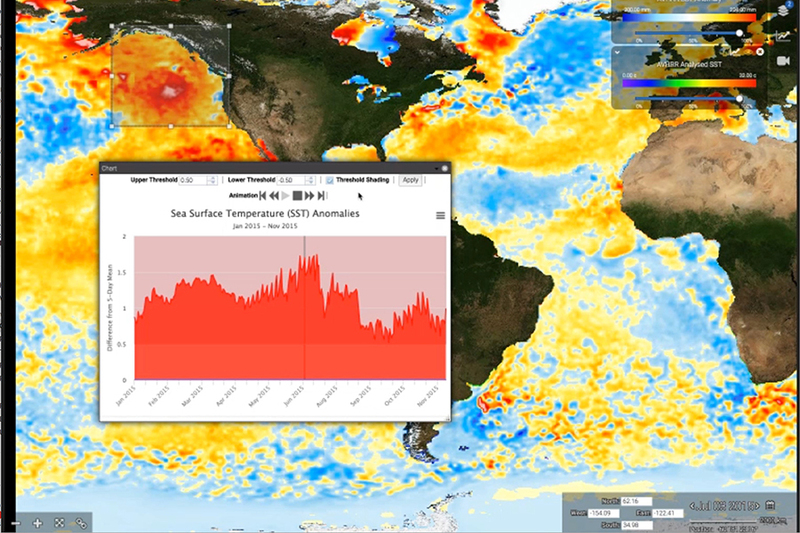 With increasing global temperature, warming of the ocean, and melting ice sheets and glaciers, the impacts can be observed from changes in anomalous ocean temperature and circulation patterns, to increasing extreme weather events and stronger/more frequent hurricanes, sea level rise and storm surges affecting coastlines, and may involve drastic changes and shifts in marine ecosystems. Ocean science communities are relying on data distributed through data centers such as the JPL's Physical Oceanographic Data Active Archive Center (PO.DAAC) to conduct their research. 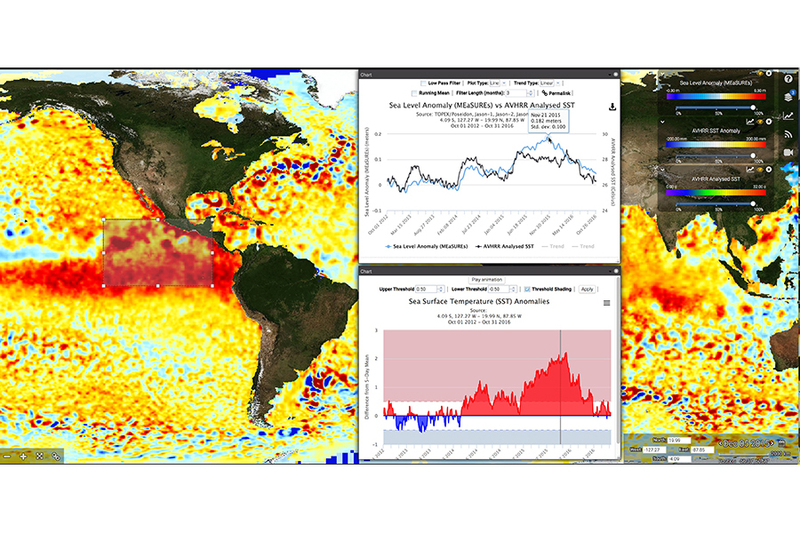 In typical investigations, oceanographers follow a traditional workflow for using datasets: search, evaluate, download, and apply tools and algorithms to look for trends. 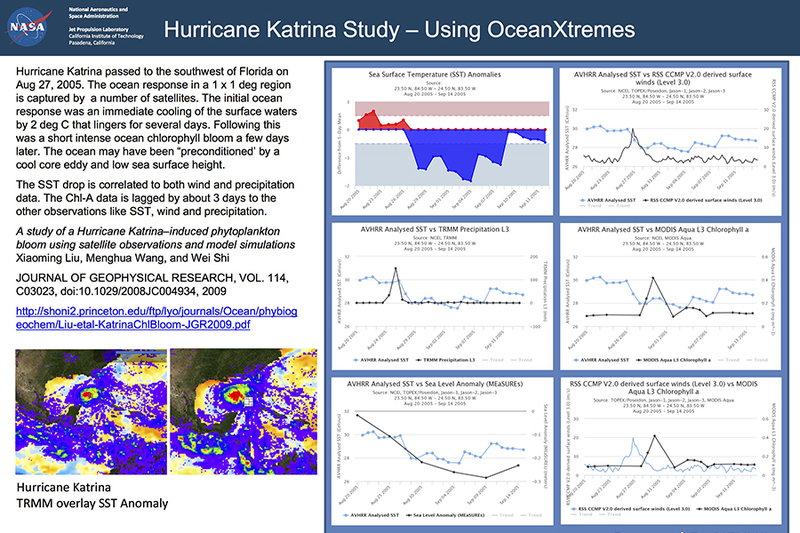 While this workflow has been working very well historically for the oceanographic community, it cannot scale if the research involves massive amount of data. SDAP will enable web-accessible, fast data analysis directly on huge scientific data archives to minimize data movement and provide access, including subset, only to the relevant data. 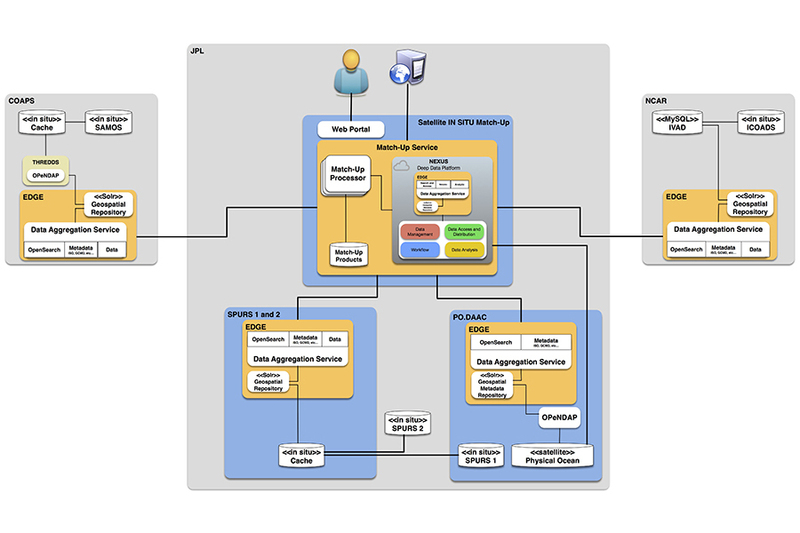 In essence, the above information workflow can be visualized by the image below where a transformation of data to knowledge occurs as one moves from left to right. © 2017 The Apache Software Foundation. Licensed under Apache License 2.0. Apache SDAP, SDAP, Apache, the Apache feather logo, and the Apache SDAP project logo are trademarks of The Apache Software Foundation. Apache SDAP is an effort undergoing Incubation at The Apache Software Foundation (ASF), sponsored by the Incubator. Incubation is required of all newly accepted projects until a further review indicates that the infrastructure, communications, and decision making process have stabilized in a manner consistent with other successful ASF projects. While incubation status is not necessarily a reflection of the completeness or stability of the code, it does indicate that the project has yet to be fully endorsed by the ASF.